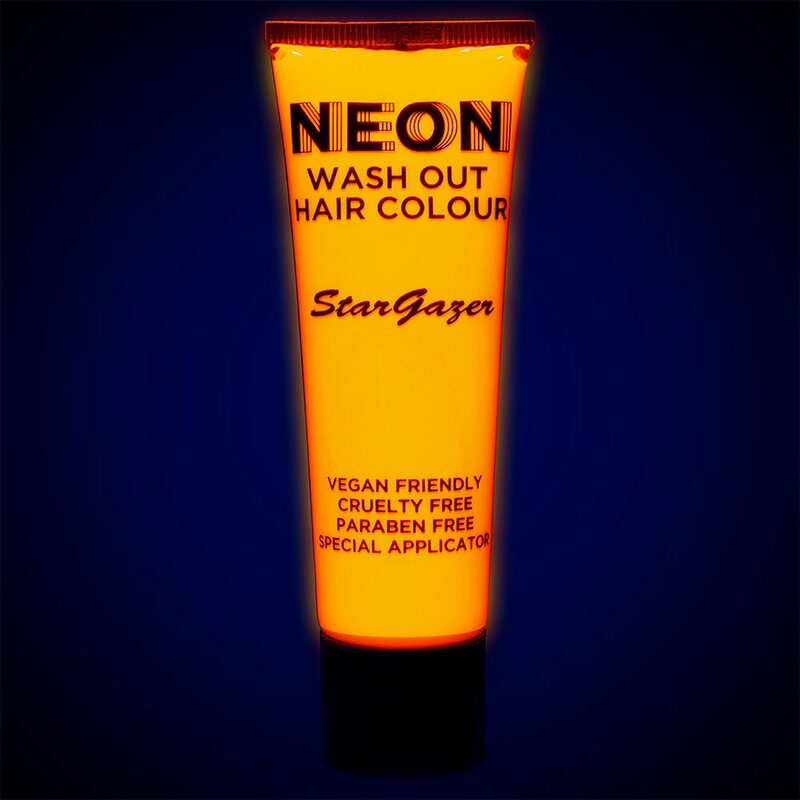 For a great look Stargazer orange UV hair gel is a great temporary dye that’ll complete your outfit on a night out. With its vibrant but easily removed colour, this hair gel will light up under UV light and make you stand out in a crowd. Perfect for all over colour or colouring sections, there’s no limit to what you can do with this innovative hair gel! 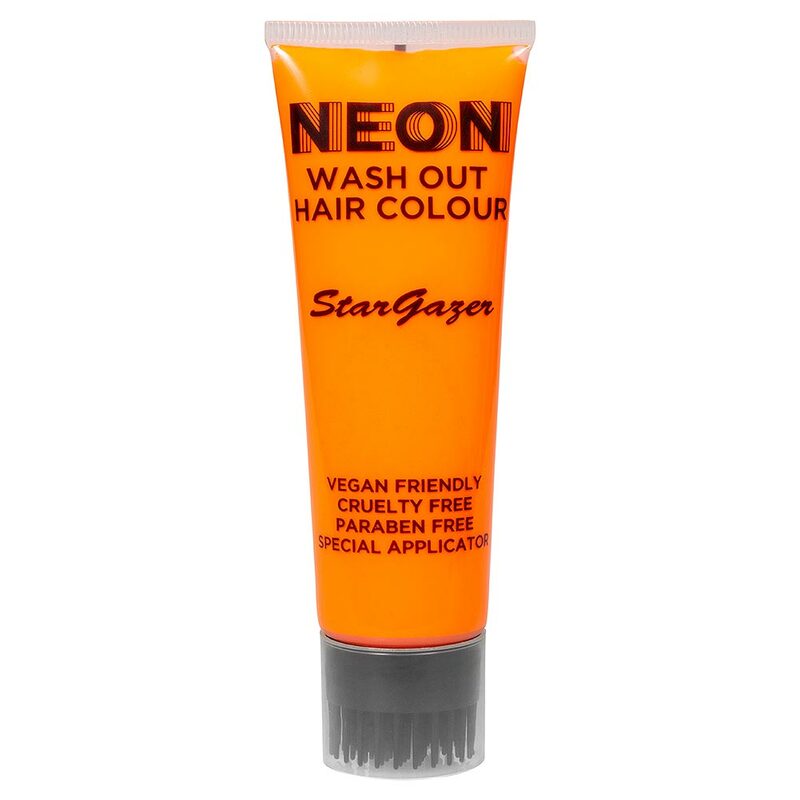 The Stargazer orange UV hair gel is ideal for someone who wants a standalone colour change for their hair that’ll wash out the next day. Perfect times to use Stargazer UV hair gel are festivals, raves, clubbing, fancy dress or any time at all that you want a change! The UV gel comes with simple instructions, is easy to apply and stays in place until you wash it out so this is a no-mess and no-fuss way to change your hair colour. Buy the Stargazer orange UV hair gel and you’ll also get the Blue Banana service and delivery guarantee at no extra cost. This ensures that you receive your temporary hair dye in excellent quality and sooner than you might think with our range of delivery options. With five totally different colours, don’t hesitate and have some fun with UV colour gel!